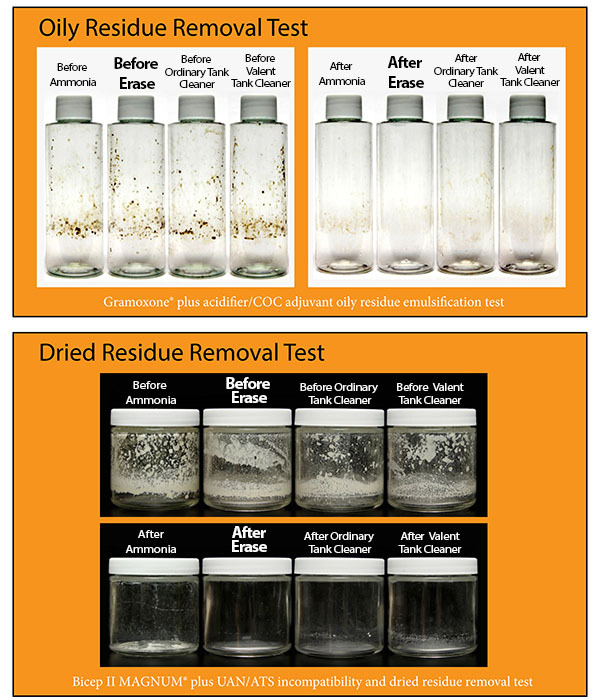 Erase is a powerful spray system cleaner that exceeds the capabilities of ordinary tank cleaners. Erase emulsifies oily residues in sprayer lines and hoses while elevating rinsate pH to degrade vulnerable crop protection products. 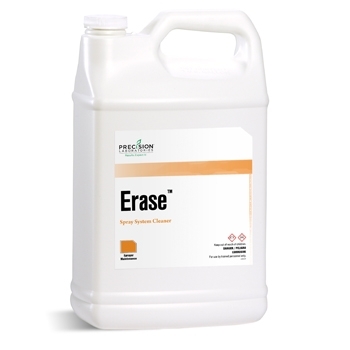 When used in conjunction with proper sprayer cleaning technique, Erase ensures more thorough clean-outs and reduced risk of cross contamination that leads to crop injury complaints, yield loss and a damaged reputation as a professional applicator.